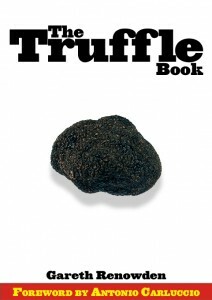 I promised a final tally for our truffle season. It’s taken me far too long to post, but I can report that we produced 228g this year, off just one tree. If we could match that yield across the whole truffiere, we’d be doing rather well… We didn’t sell any, but a couple of guests staying at The Shearer’s Cottage had a successful truffle hunt, and a few friends got some to taste. For a while, I even had more than I could eat – certainly more than Camille wanted to eat! Spring has now sprung, and the rituals of mowing and weeding are being followed. Irrigation is ready to go, sun is shining, and we’ve got a few ideas to try to see if we can persuade a few more trees to get busy. We’ll be planting another 50 trees, playing around with the soil, and even transplanting a core of soil from the productive tree to another to see if that has any effect. Fingers crossed.